Society today calls a hermit someone who just doesn’t want to be with people all the time — someone who draws strength from being alone and actually loses energy by being in the middle of a crowd. I guess a hermit could also be someone like the uni-bomber who lives in the mountains all alone and thinks of ways to destroy life. That’s creepy. I certainly don’t want to be like that! Still, I do relate to large chunks of time that offers solitude and quiet — a few days at home alone, not answering the phone or the door, in front of the fire or outside on the patio in the summer by the fountain refreshes me like nothing else. No conversation. No questions to answer. No dressing up. No one to impress. Just. Time. To. Think. Time to reflect on God and his ways. Just oceans and oceans of alone. Conversely, a weekend at a Christian or secular conference packed with people and activities drains me completely dry — even if the worship and teaching are amazing. I have literally run out of meeting centers where retreats and seminars have taken place just to breathe some alone air — to get refreshed away from the oppression of the crowd. I feel smothered, stifled, trapped with all those people. I saw this as a weakness — was told it was a weakness — and I repented of it over and over. I still confess it as sin when it comes up in my life. 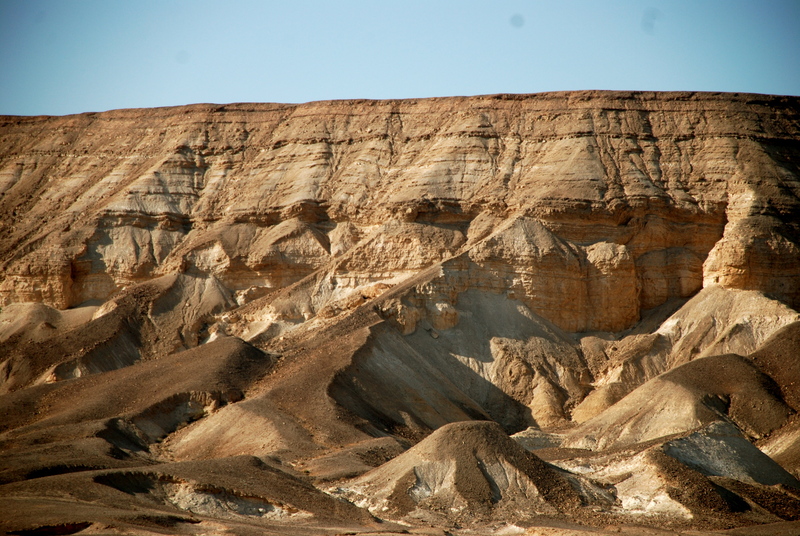 Yesterday my husband and I took a drive to the Dead Sea area. The arid, desert mountains where life is extreme and severe and the area filled with caves that sheltered the lives of hermits through the ages. Some of them didn’t flee there for solitude and spiritual strength, they sought refuge from their enemies in those dry, craggy mountains, like David fleeing Saul. But many came there willingly just to be alone, so they could be close to God. After the resurrection of Jesus, a hermitage movement flourished; and those men became known as the Desert Fathers. Their stories are amazing and inspiring. You can read some here and here. 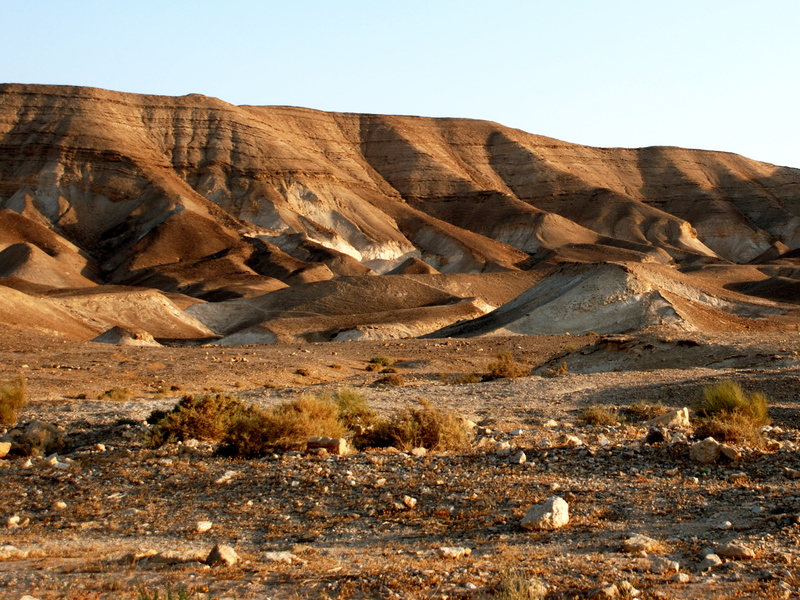 My hubby and I were in the desert just a short time, and my imagination ran wild considering the ample solitude, strength, and spiritual insight the ancient hermits found in those dry and severe places on earth like the Negev and Egyptian desert. One interesting fact about hermits is that they actually did not live completely isolated. Although they had their own “cells” or caves and certainly some of them started out alone, others became part of a family of hermits that helped each other and learned to love and serve in community. The one commandment that became supreme to them was “to love God with all your heart, mind, strength, and soul, and to love your neighbor as yourself.” They realized that love could not be found or expressed alone, although they deeply yearned for solitude — even needed aloneness to show their devotion to God. They saw that one cannot “love his neighbor as himself” without having a neighbor. So hermit clusters formed in the desert. These men’s lives became so inspirational that outsiders would come to hear their wisdom and witness their lifestyles. If a woman was interested, she had to dress like a man to approach the community. The severity of their surroundings shaped their lives, and they found comfort and delight, not in things, rather the Maker of things — God himself. Reading some of the history and mystical writings of those hermits, the great Desert Fathers, as they are considered now in some circles, makes me wonder if this “sin” I have been repenting of all my life is really a gift. 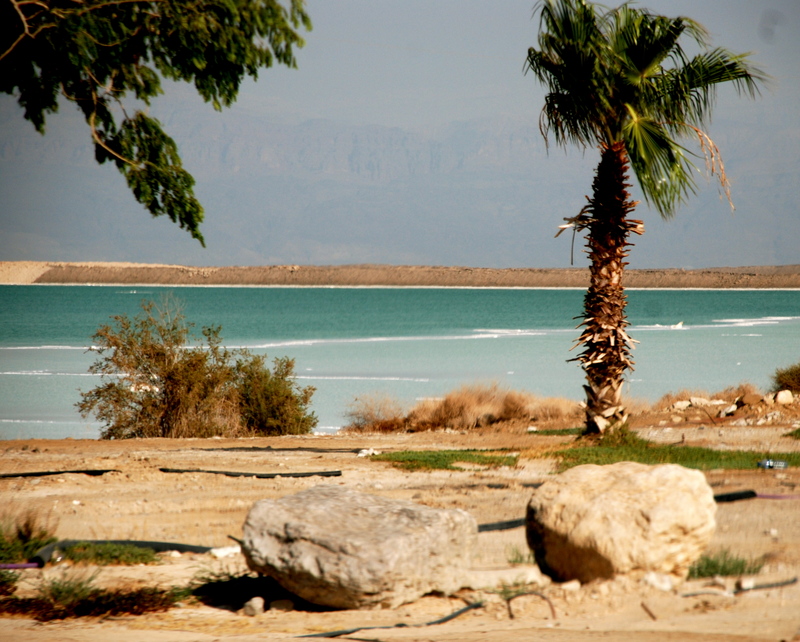 I used to hike on that Dead Sea salt spit. 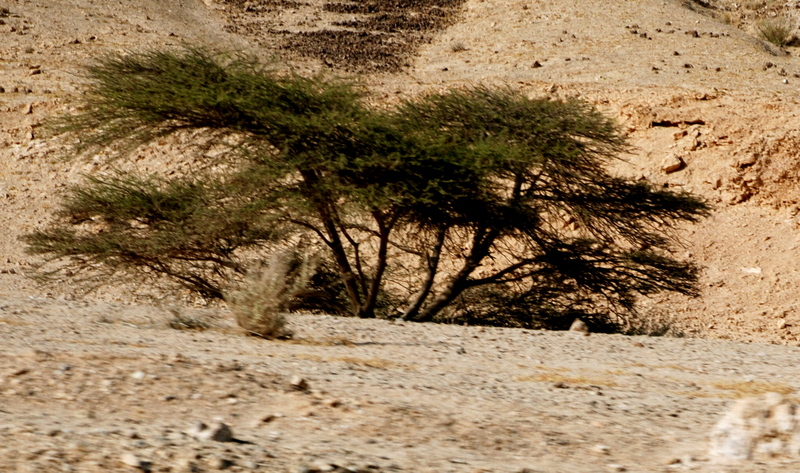 The walk takes from 3.5 to 4 hours heading toward Jordan. From about 4:30 to dusk is the best color show in the world. Like walking it an Impressionist painting. Then it is too late to get back before dark. But, Ah Ha, you have planned it at the full moon. You pack a lunch, sit on the end of the salt spit and await the glorious moon rise over Jordan. Breath taking. Then it is almost as light as day for your trek back. Unforgettable. Ron, I have heard that is an incredible hike and would love to do it sometime. The colors are amazing almost anytime of day. I have a shot of a storm gathering over the Dead Sea and everything about it is awesome. It is almost scary! You can really sense the majesty of God there! Thanks for stopping by and leaving a comment. It’s no sin! It’s a requirement to have solace. The sin is all the constant running around all the time. So you have often felt guilty for your hermit leanings, too, Bonnie? Honestly, if a writer isn’t somewhat of a hermit, they probably aren’t much of a writer either. Most of writing is not putting pen to paper, or tapping on the computer keys in a Word.doc. Rather it is the time spent in reflecting, thinking through the bundle of threads in our minds and hearts that seem to ball up when something we are going to write about is forming within. I love reading the fruit of your hermitage, Bonnie. And seeing the photographs that you fold in to illustrate your word pictures. When 98% of the world does not understand our need to draw apart to be alone, it is because only 2% are writers who need to do so to process. David, you crack me up! Anyway, sorry we will miss you this month, but will catch up in September. You are in our thoughts and prayers as you grieve. We love you all so much. Donna, thanks for your encouraging words and thoughts. Thanks for stopping by and leaving a comment. Your thoughts are so important to me. I hope all is working out in your family situation. Add my wife and I to the list of desert solitude seekers. I grew up in the California desert and my wife would love to live there too. But we live in subtropical Florida where most everything is green all the time. That’s OK because we have St. Leo Abbey and its Benedictine monks nearby. We are frequent visitors to its quiet monastery church. 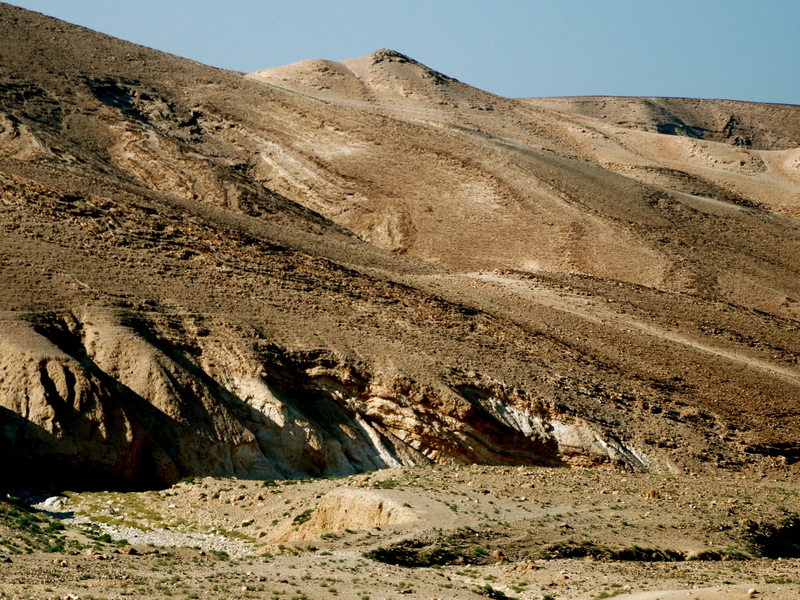 Although we don’t live in the desert, during this hot summer we decided to read and discuss John Cassian’s “Conferences” about the wisdom of the Egyptian desert fathers. The wisdom we can pass on from our Florida summer readings so far is: It’s not the heat, it’s the humidity.